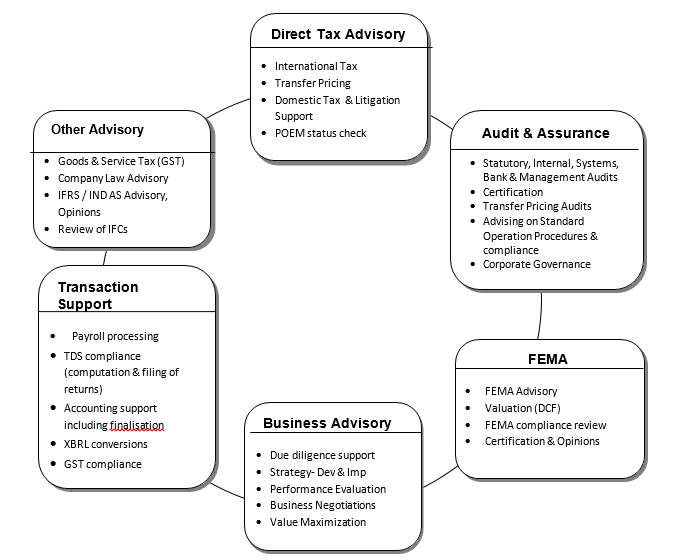 The Firm offers in depth proficiency in Advisory and Compliance services in Direct and Indirect Taxes, completed by Transaction support. The Audit, Assurance and IFRS practice provide certificate services along with ground support to Corporates in a variety of key functions. The Business Advisory Services assists Corporates in furthering their business goals. 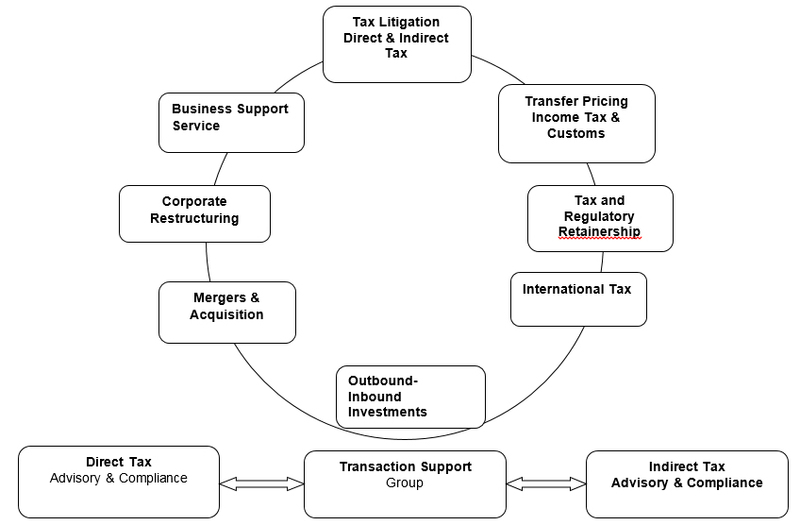 The Firm has distinct Audit, Regulatory, Income Tax and Consultancy arms. It is providing services in the areas of Audit, Tax, Company Law, Foreign Exchange Law, Goods & Service Tax (GST), Finance and Due Diligence, etc, as detailed below. The firm provides seamless, comprehensive range of Tax and Regulatory Services in the area of Direct Tax, Indirect Tax, Corporate law and regulations that deal with Cross Border investments. Being a large enough organization to serve clients comprehensively and yet, small and agile to provide personal attention and offer services to meet client specific requirements. We believe in getting deeply familiar with the details of the clients organizations to develop a thorough understanding of their business. This enables us to offer proactive and customized solutions that help in serving the clients current needs and anticipating future challenges. We strive to exceed client's expectations, which keeps us on our toes to continually upgrade and evolve ourselves as professionals. Our team with multi-disciplinary approach, is committed to constant learning, technical training and research to ensure that clients get the best of our services and innovative solutions to their problems. In the maze of multiple and overlapping Tax and Regulatory legislations, the firm distinguishes itself for charting an ethical, yet result-oriented course. The focus on resolving complex issues from a pro-Business-perspective approach has been the cornerstone of the firm's outstanding success.